Arden House believes that residents should retain as much of their own personal choice, independence and mobility, as possible. As such, individual care plans are developed for each resident and regularly reviewed with themselves, their family and as appropriate with their GP. Staff at Arden House are particularly chosen for their understanding and dedication as well as their caring skills. They have been trained to be attentive yet discrete, to give residents confidence and support. There is always a high staff to resident ratio to allow personal time with all of our residents. Both qualified RGNs and care assistants are available 24 hours a day, 365 days a year, to provide care in a professional and respectful way. For residents, Arden House will become their home and we would hope to continue to care for them, where possible, even in the final stages of their lives. We know that this knowledge and the sense of security this gives, has been a great comfort to many. A close contact is maintained with area and regional healthcare professionals and medical care is undertaken by local GPs. This allows local residents to retain their own doctor where preferred (provided that a 24-hour service is available). In addition, facilities are provided for hairdressers, manicurists and chiropodists to visit the home and additional services such as optician or dental appointments can be arranged. Arden House is equipped with specially fitted bathrooms to enable assisted bathing where required. We place great emphasis on staff training and development to ensure we offer a quality service to all our residents. This ensures that high standards are maintained in line with the latest initiatives and developments in care practices. 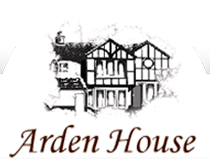 The proprietors and senior management are fully involved in the day to day running of Arden House. We are always happy to discuss confidentially any aspect of a resident’s care.